The Associated Press reports Joe Biden will be in Hoboken today making stops in New Jersey to observe damage from Hurricane Sandy. 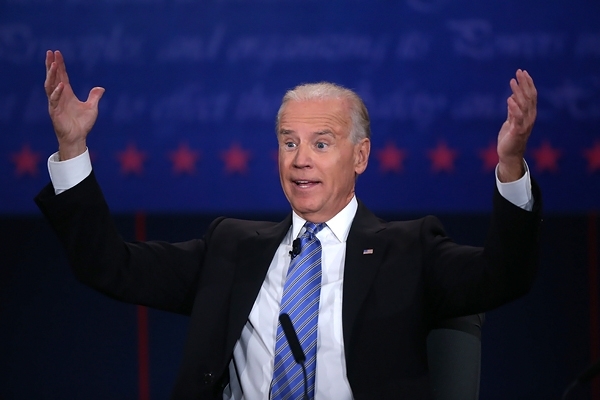 Biden has already voiced remarks about a candidacy for President in 2016. Governor Chris Christie has also been been often mentioned as a candidate and also visited Hoboken holding a well attended Sunday press conference downtown on lower First Street. It's unclear if VP Biden will be holding a press conference or solely coming to observe hurricane damage. Vice President Joe Biden will be in New Jersey with an anticipated visited to Hoboken Sunday. The overwhelming number of the affected structures in Hudson County -- 2,248 -- are in Hoboken, according to the analysis. Of those 2,248 damaged buildings in Hoboken, 974 of those buildings sustained major damage, according to the report. Related: A Star Ledger story details the damage in New Jersey being tabulated and indicates it's not anywhere near complete.